Wholesale2B.com is proud to announce our new Shopify app and listing tool! Shopify is one of the fastest and easiest ways to build an ecommerce website—with clean and modern layouts, and SEO built-in. Shopify has become a game changer in the world of online entrepreneurship. Our goals it to expand the options even more, by automating dropshipping with our new Shopify app. As a part-time or full-time drop shipper, we know you are always searching for ways to grow and expand your business. While we aim to offer the most flexible automated solutions for pushing products to your website, Amazon, or eBay store—many of our members have been asking for a similar solution for Shopify. Creating this app makes it easy for you to grow and expand your online business by adding a Shopify website. The Wholesale2B listing tool is the fastest way to add dropship products to your Shopify store. Whether you plan to sell only dropship products, or you are looking to add complementary products to your existing store—the choice is up to you. Over 1 Million Products To Choose From! We have over 1 million products to choose from. Simply select what you want to sell, and your new products upload directly to your Shopify store! We limit all stores to 10,0000 products, which is more than enough to ensure that you have a diverse inventory—but low enough that you don’t have to worry about oversaturation. In most cases, your product niche calls for far less than our product maximum—and you can add or remove products any time. Our product inventories update daily, meaning you never have to worry about a product being out of stock. Process Shopify Orders In Just One Click! Add the Wholesale2B app to your Shopify website, and process all orders in just one click—it really is that asy! No need to worry about working directly with wholesale suppliers, because our app is fully automated. 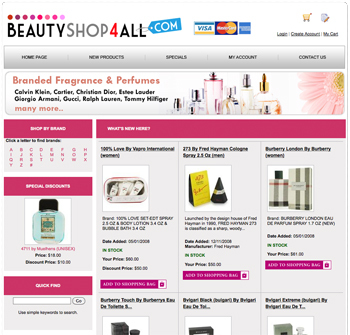 With the click of one button, your daily sales are sent to the appropriate suppliers for processing. No phone calls or emails required. Once the order is shipped, you will receive tracking information that can be passed along directly to your online shopper. Shopify was designed with the small business owner in mind, but our app is designed to support the unique needs of online-only entrepreneurs. Not only does inventory take up room, but it requires you to ship your order. Load your Shopify store with our members-only selection of dropship products, and never worry about inventory again—that is of course unless you want to keep some inventory on hand. For example, you could complement your handmade candies by selling an assortment of other special occasion gifts—such as candles, stuffed animals, or luxury bath and body products. 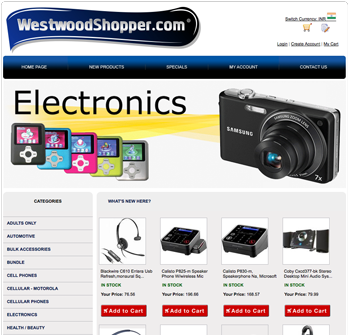 Our wholesaler’s supply the brand name, trending products your customers are searching for online. You have complete control over your selling prices and shipping prices—and you only pay for products as each order is processed. This allows you the ability to sell a variety of products, without having to invest in the inventory upfront. Our app makes expanding your product line easier than ever! If you are a new online entrepreneur, or you have only ever sold products and inventory that you keep on hand—then you might be wondering what dropshipping is, and how exactly it works? Dropshipping is essentially a partnership between you and a wholesale supplier, that allows you to sell their products without keeping any inventory on hand. Once a product sells, you process the order with your wholesales supplier—and they ship your order directly to your customer. Sometimes dropshipping gets a bad rap, because there are several irresponsible suppliers out there. For example, suppliers who fail to update inventory, have slow shipping times, or lag when processing refunds. As a Wholesale2B member, you never need to worry about any of that! We build the wholesale relationships for you, and only work with prescreened, legitimate, and reputable wholesalers based in the United States. This eliminates the time most drop shippers invest in building their own relationships with wholesalers—and provides you with a larger number of suppliers. So many suppliers, that you have over 1 million products to choose from! We are excited about our new Shopify app, and look forward to hearing how it helps you to grow and expand your online business.